Motivation letters are becoming more important in our society because they give a lot of opportunities in social spheres. Owing to motivation letters, we can enter the desirable university, get a well-paid job or get various grants. Therefore, appears correlation which reveals the importance of learning to write a successful motivation letter for the reason that it opens the doors in different spheres. 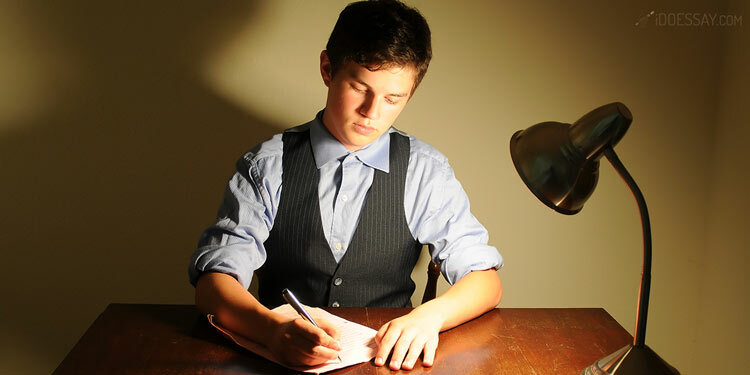 Moreover, these tips could help write not only motivation letters but also to achieve success in writing essays. First and foremost, your object is to display that you are interested in a particular position, university, etc. Aim for finding supplementary information that will help substantiate your choice. For instance, before applying to the university, find out about its peculiarities and talk to students or representatives of the educational institution. The same task is with getting a desirable position. Firstly, it is advantageous to identify peculiarities of a particular company or to ascertain its main strength, weakness etc. That will add extra points to your letter because it will show that you are really interested in a company. It will help you to point out the reason why you’ve chosen this university or company. Don’t use general and stereotyped phrases because they won’t open you as a person. The key point of motivation letter is its personal part. You should reveal personality because the motivation letter must be memorable and summarize you as a person. Using clichés, templates or general phrases won’t reveal your traits of character or won’t remain in memory. In this regard, pay attention to yourself as an individual who is applicable for a desirable position or university. The paramount part of motivation letter is presenting your professional skills. In this part, you should strive to try to display your experience, knowledge and acquired skills. It is important part because it has an impact on your relevance. Try to show your best and to show why you are eligible to get a desirable position. Mentioning your merits could add benefits to your motivation letter because it will help to underline your personality as a competent person. Don’t write about everything at one time. It isn’t applicable to talk about the weather, your parents, friends, etc. It is unnecessary information. The main target you have to achieve is to write a motivation letter, not an essay, bibliography or biography. It implies the ability to lay out the relevant material. Moreover, it will show your strength to be able to lay out applicable information. That’s why you should be strict and concentrate on your letter. Don’t be shy but, at the same, time don’t exaggerate. Just tell the truth, because honesty is one of the most valuable facets of the motivation letter. If your letter causes doubt, you won’t be a suitable candidate. In this case, your letter won’t make an impression on the commission. In this regard, the truth reflects your individuality which could help to reveal yourself, and it will be a huge plus to your motivation letter. Rated 4.5 | 296 votes.